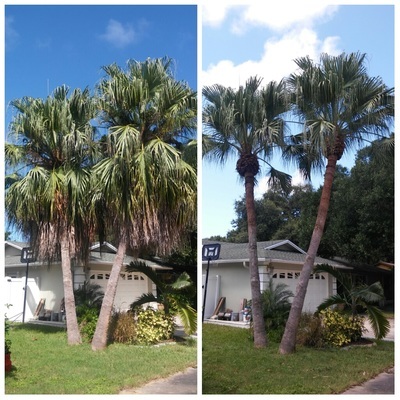 Palm pruning is a tree service that we proudly offer to customers in and around Clearwater, Dunedin, Safety Harbor, Palm Harbor, and Tarpon Springs. There are many different palm trees in our area, and many respond to pruning differently. Palm pruning needs to be done carefully. 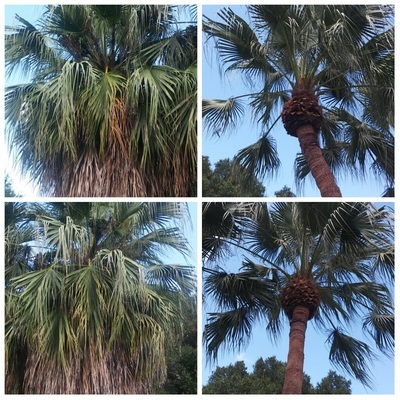 If too many fronds are removed, it can cause stress to the palm, and that can lead to other issues, eventually leading to decline and death.